What good is a screened enclosure if the screen door lets the bugs in? If you live and work in an area where bugs come in swarms, (and who doesn't with the early spring we have had?) but you love the outdoors, then you probably either know someone who has, wants, or asks you about a special screened enclosure built to enjoy the outside bug and pesticide free. For some home improvement businesses, it can be difficult to help your customers understand value from a picture. Many consumers go to big box stores because they want to see what they have in stock. They need to see, touch, test and ask questions about the screen door they are investing in. Can I just replace my screen door hardware? Are there any other options for the screen door color? What can I do to keep the bugs from coming through the screen door? Why does the screen keep popping out? Why is my 'rust-proof' screen door rusted? Is this the only screen door handle option? How secure is the screen door? How does your home improvement center attract new customers and retain loyalty? Do you compete on price like the big box stores? Or is your business model built on the expertise and value of your experience? But for most home centers, investing and keeping a stock of lower quality screen doors that are going to sit on the shelf, is simply not an option. Like your customers, you also need to see, touch, and test value. For PCA Preferred Partners, we now offer a variety of in-store screen door display options. For less than $100, you can set yourself apart from the big-box store competition. Let your customers decide what value looks like. 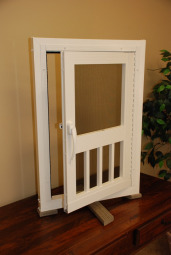 Frustrated with your trusted local home center screen door or screened enclosure options? Tell us who they are and we will do the work for you! Soon you will be able to see, touch, and test the value of a quality screen door. 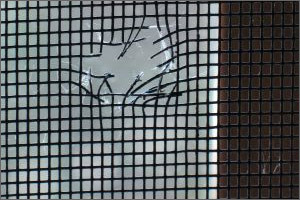 Stop settling for just another screen door repair or replacement.